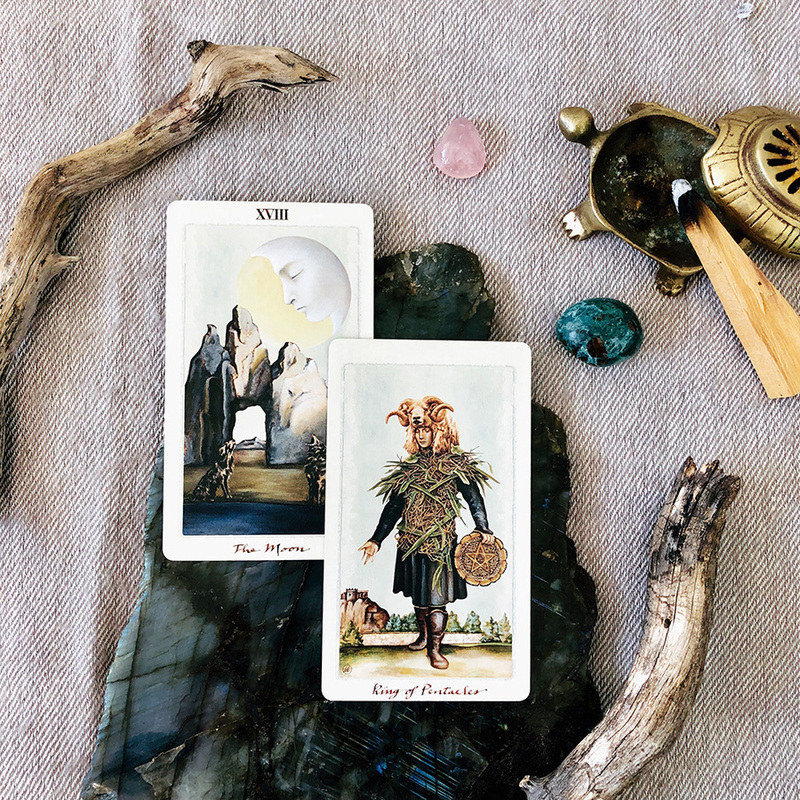 This is a monthly collaborative exploration of tarot archetypes through the signs between Adrienne Abeyta, Stephanie Larson, and myself. I hope you find them enjoyable and useful. The benefits of spending time alone include: recharging, reflecting, reconnecting, remembering, and restoring. It’s essential to your emotional and mental health that you have quality time to reflect. Quality, however, does not mean zoning out as much as it does tuning in. Aimlessly watching Netflix, scrolling through social media, playing games on your phone or perusing the internet are not healthy ways of recharging. They are passive and sometimes escapist ways of filling time - they atrophy your imagination. Tuning in strengthens your intuition, enhances your creativity, balances your mood, and reconnects you to yourself and your spiritual connection. If you’ve struggled with depression or feelings of loneliness, the practice of reflecting can be painful, yet still necessary. Find quality ways in which to be alone with yourself, reflect on your thoughts and feelings. Now is potentially a very creative, intuitive time so make the most of it. For others, however, this could also be a time of isolation and delusion. Remember that your feelings are not facts and that discomfort is only temporary when you detach from expectations. There is no shame in asking for guidance and support if you need it. 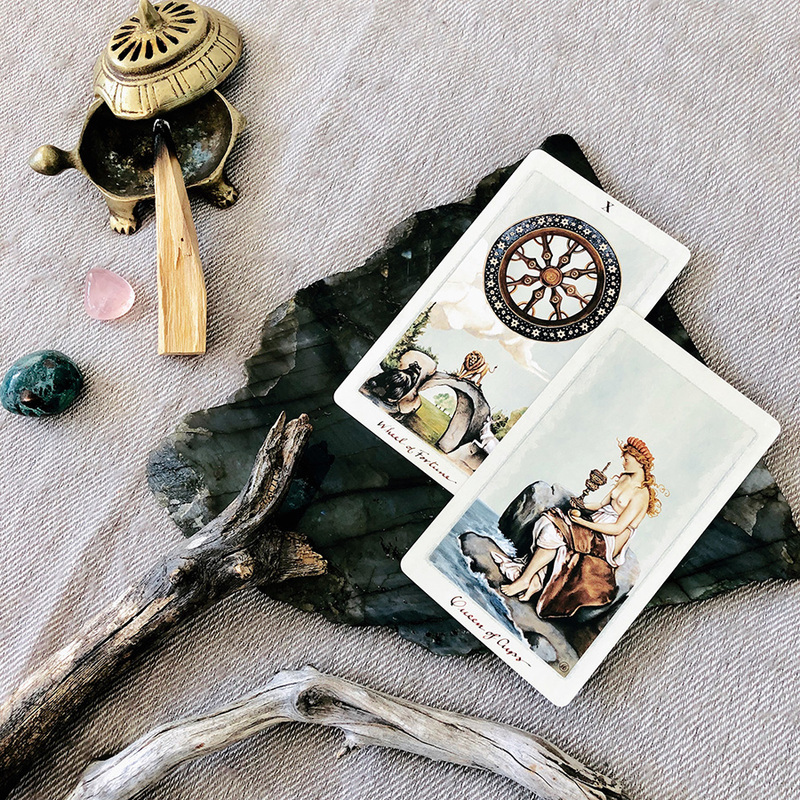 Known for your love of stability and generally easy-going disposition, you’re in for some changes that will cause even you to lose your cool. Mars has also entered your sign, so emotions are on high alert for any perceived confrontation. As the rug gets pulled out a bit so do the issues shoved under it. There are no surprises here. However, as you’ve been slowly working up the nerve to deal with a delicate matter. Expressing your sensitive side is okay. It’ll help the whole situation. If you find yourself in the role of the caregiver, offer support and strong guidance but don’t take on the situation. As a relationship moves into the next phase, be sure it’s what you really want before you say yes. For the artists and healers, this is an incredibly creative period. What you put out now will quickly generate interest and attention. Your intuition is on point, and you are emanating magical energy. Be careful what you wish for. Feeling peaceful is not without effort. Much like planting a garden, you must tend to it. The business of life is brimming with activities, to-do-lists, and endless responsibilities. As you buzz from place to place like a little hummingbird, you may forget to stop and center yourself. Less is more when taking care of your personal needs. The less you make self-care a job, the more effective it is. Examine your relationship with stress, and you will discover that the majority of what stresses you is not having enough quality time for yourself. The constraints of time are self-imposed. You will create time for what is, and even if you only have a finite amount, you will spend it more mindfully. Checking out to decompress isn’t tending to your garden. It’s okay every once in a while but tuning in cultivates serenity. You’ll have to make some adjustments to your schedule this month if you want to recharge. Do it though, and you’ll thank yourself later. Whoever said "too much of a good thing is no good" was on to something. Seeking pleasure and avoiding pain is the human condition, so it makes sense that you crave a 'good thing' – whatever that means to you. But, have you ever noticed the fear that comes with having a good thing? It’s as if you reach the point of sheer bliss then worry about the comedown or the inevitable loss that accompanies the gain. Feeling happy, joyful and content are undoubtedly optimal states of experience, yet they are transitory when connected to something or someone external. You are not your emotions; you are the observer, the container, the reflector. Like the moon reflects the sun's light, you emanate the spectrum of emotional vibration. As such, there is no need to cling to what is or long for what isn’t. The phases and tides of life are your playgrounds. Do not cling to the disappointments from the past. Let go of expired dreams and embrace the changes in relationships. This month you must confront a long overdue emotional entanglement. The harder your grip on your expectations, the more you suffer. Let go and let love be your mirror. The end of a relationship is never easy, especially when you know it’s coming, yet you continue to hold on for dear life. There are ups and downs in all relationships, but when you get to the point that you can no longer remember the last time things were good, it’s time to move on. The apparent ending is a break-up, and unfortunately, too many opt for this before really trying to work on the problems. Moving on could mean getting over the hurt you’ve been harboring. You may not even realize how your past traumas are responsible for your current dramas. Ask yourself if your current relationship is free of the ghosts from the past. It is at the crossroads which means it needs special attention. Be mindful how you are comparing your current person to a past person or an expectation of what you’d like. This awareness isn’t limited to romantic partners either. Stop clinging to your problems with complaints. There are fresh opportunities to connect and potentially heal from past pains. Recognition and validation are essential to the human condition. Survival required your parents’ attention; identity formation needed validation; self-esteem thrives from recognition. You are known for being humble, modest, and sometimes reserved. These qualities are no better than being confident, flashy, and outgoing. There is a dark side to both: an addiction or aversion to attention that threatens to unravel the very nature of your self-worth. It’s easy to accuse people who seek praise as self-centered but not so easy to spot the subjective side of self-effacement. How comfortable are you with attention? Do you secretly crave it yet deflect when it is given? Do you prefer to be in the position of the giver to avoid feeling vulnerable? Are you so afraid of criticism that you evade judgment all together? Or, are you insecure unless someone validates you? Do you seek your worth through what you do? Do you only show your capable side and avoid asking for help? Your relationship with validation needs some re-balancing which will become painfully apparent this month as you struggle with feeling recognized. Be honest, not defensive. A sense of security and confidence can come from being able to manage your environment through an innate knowing of what people want and the ability to provide comfort through thoughtful consideration and problem-solving. You thrive in a practical and organized environment. But what happens when everything goes dark, and you're engulfed in confusion, fluctuation, and uncertainty? Life doesn't always make sense, and we all face periods where we lack purpose and understanding when we can do nothing but wait and cling to the elusive images of dreams and the vague sense of hope and faith. 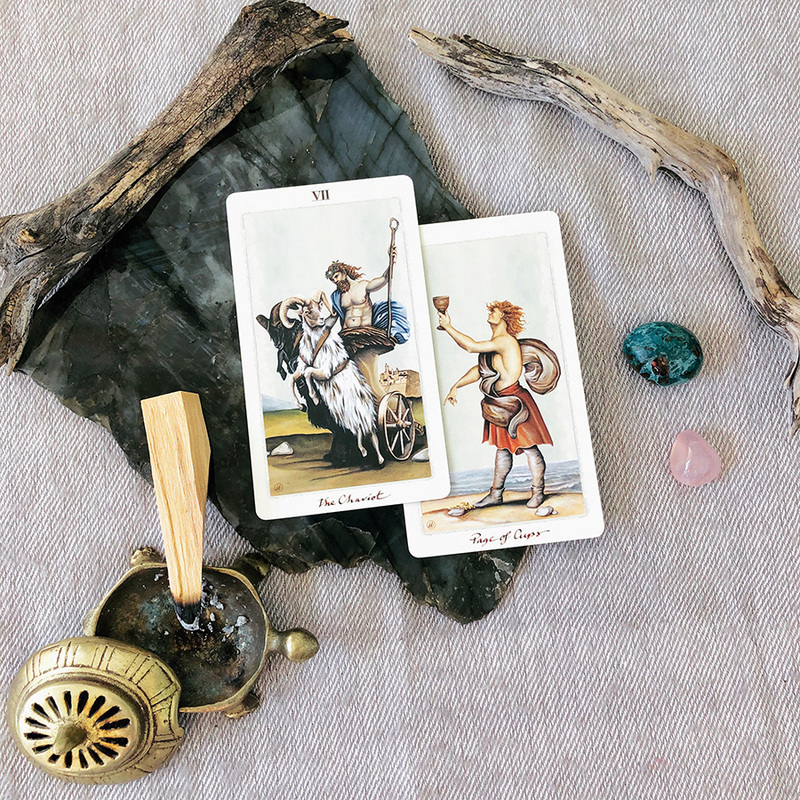 You may be feeling a bit lost this month and unfortunately, you'll have to ride it out. However, this is a great time to lean on your practical, hard-working nature. There is a saying, "to chop wood and carry water," meaning to take care of what's in front of you so that as clarity returns, you're ready to receive it and get to work. That annoying little voice in the back of your mind becomes an unavoidable siren as you begin to feel the ground of certainty cracking beneath you. Before you get all dramatic about things, let the doubts, fears, and temptations wash over you. There is no need to make rash decisions or start obsessing. For that matter, don’t try to avoid it either. Just take things as they come. Be cautious about how you use your words this month as well. Gossip is as dangerous as slander. If you tell your secrets to someone who has told you someone else’s, you’ll regret it. There’s no shame in saying you're sorry or you don’t know the answer. For those promised compensation on a small job or loan, hold your tongue, not your breath, it’s not coming this month. Rather than burn bridges, it’s best to let it go. This small act of forgiveness is an investment for your future victory. The air seems electric these days, life has been firing ideas at you left and right and now you are ready to take action and make the magic happen. An awake, objective and conscious mind is key right now for you to harness the freedom you have been longing for. Be honest with yourself about your strengths and weaknesses. Your unwillingness to commit to a decision may be robbing you of your beloved freedom. When you aren’t free to choose, you feel immobilized and panicked; you don’t want to be tied down to one thing! But ideas and opportunities are just seeds, and seeds need commitment, nourishment, time, energy, love … a seed needs to be put into the ground. If you’re blocked by fears of limitation and restriction; pull back and go within before moving forward. Take some time to breathe, find peace, tap into that wise inner voice and let it direct you. The freedom you so crave is just outside your reach, all you need to do is shift your perspective and perform some mental alchemy. The answer is there if you can quiet your mind and redirect your focus from fear back to the optimism that comes so naturally to you. 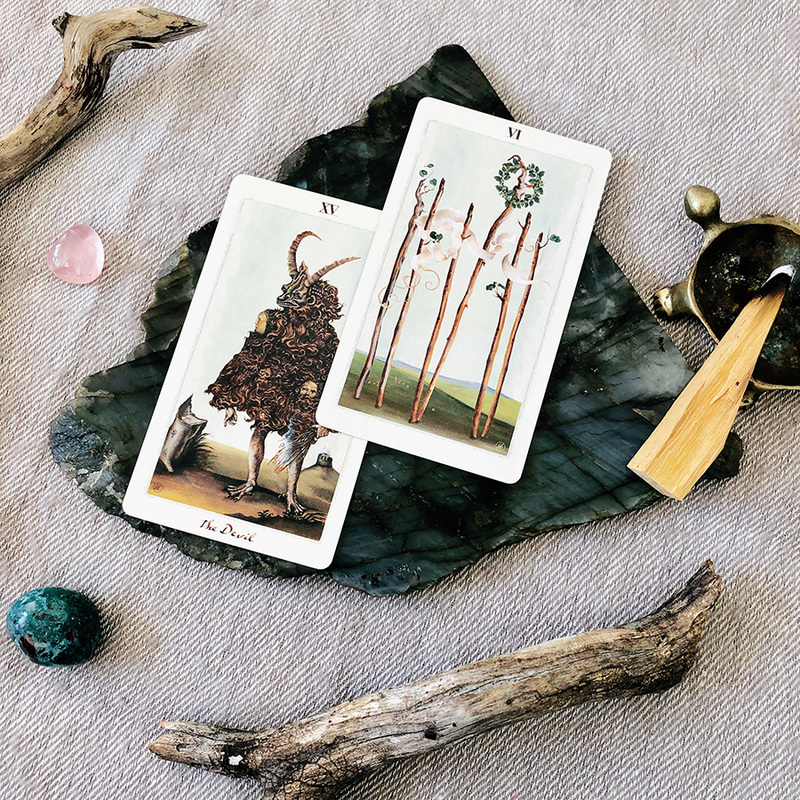 This is the space where your magic is most potent; it will show you the path out of the quicksand of indecision to the paradoxical freedom found in choosing just one juicy fig. Apply your will with courage and have faith in your own formulae for success. Generally speaking, you go after what you want with careful planning and persistence, toiling away until achievement is met. However, your cautious and methodical nature may be holding you back when it comes to matters of the heart. The emotional realm is not always about playing it safe. At times we must blend conflicting energies within; caution and risk, logic and emotion, assertiveness and accommodation, to go after our heart's desire and win. This month, you are being called to stop daydreaming and go after what you want. Find a way to harness your need for a sure thing with excitement for the unknown and take a purposeful risk. If you're dating, express yourself; take a chance and let them know how you feel. 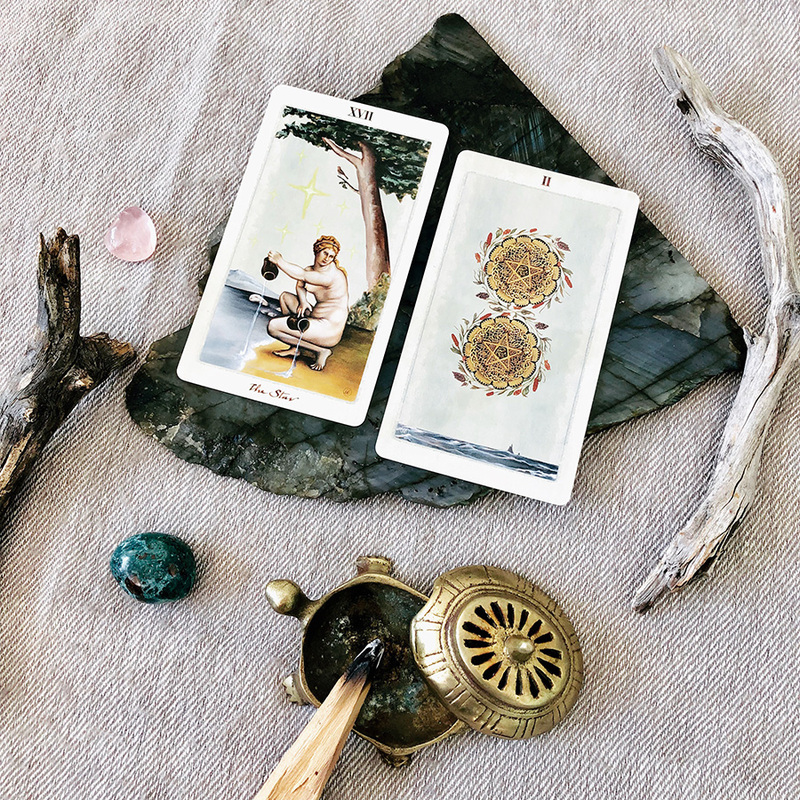 For those of you in a committed relationship, maybe it's time to take things up a notch or share some desires you've been keeping to yourself for fear of what they might think, or worse, how they might respond. You might be surprised what comes when you put yourself out there. Success is relative to what you value both personally and professionally. For some, these values are different. You might appreciate responsibility at work and freedom in your relationships. Independence and self-sufficiency in one area and support and connection in another. The intersection is the place of contentment, joy, and fulfillment. Your need for knowledge and certainty can sometimes preclude you from just soaking in the good feelings. Embrace your life just as it is, you are enough. As you adopt this value, you will notice all the goodness in your life. You will feel even more fulfilled and productive. This month promises many moments of internal and external rewards. Make a point to return the blessings by helping those around you. Now is an optimal time to volunteer your time, offer your resources or join a cause. What goes around come around. Patience is a virtue and often underestimated as a passive process. However, during moments of inactivity, there is space to explore your feelings, thoughts, and plans. Sometimes the rush to completion is nothing more than the avoidance of being. You’ll understand this more directly when you feel the notorious stuck position. The experience of being stuck is multidimensional if you let go of what should be. Instead of focusing on what isn’t happening, pay attention to what is. Be curious about alternatives, notice how you feel about what you’re doing, consider how you’ll feel when you get where or what you’re aiming for. This month you’ll feel suspended in time, and rather than resist, surrender to the experience. For those who have difficulty relaxing, your health may take a turn that forces you to sit still. This month can be an extremely productive internal time. Use your energy wisely and pay attention to how your body feels. Money matters are at a standstill, so conserve your resources.